For the year 2015, New England Museum Association known as “NEMA” selected Portland, Maine as the host city for the annual conference, and the Holiday Inn by-the-Bay as the site for this year’s conference: “The Language of Museums.” Beginning after sunset on Tuesday November 3 and ending mid-afternoon on Friday November 6, I would enjoy walking two blocks over reddish-brown bricks from the Westin Portland Harborview Hotel to the Holiday Inn, to participate in the few days of this deeply appreciated, and well-loved, annual gathering. As expected, this regional conference was intended primarily for New England organizations –whether NEMA individual/institutional members, potential members, businesses of the region, university students/staff, and non-members– and customarily offers a chock-full of activities, receptions, and presentations for its conference attendees which are intended to be inclusive of all museums and (if applicable) appeal to their different departments. Thus, an ongoing dilemma existed for its attendees: many of the sessions, particularly during the daytime, were scheduled concurrently. Thus, making it a difficult task to decide which session to participate. Would it be best for you to attend a session that will help you in your current job? Attend a session that will aid the development of a skill that you are curious about personally or professionally? Attend a session that will assist you with an improved understanding of the role of a colleague from another department? Attend a session that will stretch you –and challenge you– to consider a variety of perspective(s) on a controversial topic? Attend a specific session –while your museum colleagues attend concurrent others– to strategize your institution to absorb (theoretically) as much of the content available as possible? Or, would you prioritize a session that would combine a number of these aforementioned priorities? As someone who juggles several jobs, in museums as well as in the public schools, and who would have the unsurprisingly effortless ability to relate to the content of several sessions, it was inevitable that it would be hard for me, at times, to pick only one session. For, once you were in a room for a session, it meant, for certain, you were selecting not to be in another, and, if you left a session for whatever reason, then you were missing out on the rest of that particular session by leaving! In other words, by picking one, you were not picking the others — and for me, the ramifications were a loss of information. Furthermore, it was also a challenge to pick which session because –while it is certain that no presentation would be greater viewing it online than seeing it in person– no sessions were recorded at NEMA and posted online like other conferences such as Museum Computer Network. This meant, if you did not experience it at NEMA 2015, you will not have the opportunity again. (Fortunately, some attendees tweeted during the conference and used the hashtag #NEMA2015, so typing that in on Twitter, you could have a written sampling of the other sessions. This is one great example from NEMA 2015 – placed together in Storify.) In any case, the session decision-making to me kind of resembled the decision that I have to make when I am at the eye doctor updating my prescription for my glasses, when I am peering through lens “A” and then lens “B” and back to lens “A,” then deciding which lens that I see through is better, because it was often very close, and sometimes identical. In any case, I did it! I made my selection! With my reading of the conference booklet ahead of time –really thinking deeply about what might be best for me– and committing to them by writing them in my planner, on Friday I found myself departing the conference hugely grateful that the sessions that I planned to attend had turned out to be worthwhile, and as you will read later in this blog entry, some sessions were even life-changing, in terms of sharpening the way of how I interpret the world. While I am just as sure that I missed out on some pretty phenomenal conversations and exciting presentations, that is okay, it was unavoidable. I have to just be satisfied with what I did. With my thankful heart out there, I believe that I can demonstrate in this blog post that it was worth being at NEMA 2015 alone for the information. I truly made the most of everything that I could –by dismissing my social exhaustion and overload of ideas and activities– and persevered to attend all sessions and events that I planned on doing. Lastly, it was nice to be at NEMA because it felt like being like a student again. I like listening to people give presentations about a topic, and how I was learning from them by considering their perspectives, and connecting to what was talked about, with what I know and have experienced. It was fun to take notes and just have an opportunity to think. In any case, I hope to give in the following section a glimpse of the value of each session that I sat in on at NEMA. The following paragraphs are the immediate takeaway thoughts from the sessions at the conference. Starting at 7 o’clock in one of the conference hotel’s rooms, attendees mingled together for a bit. Then, NEMA Executive Director Dan Yaeger and the co-chair of NEMA Young and Emerging Professionals (known as NEMA “YEPs”) Alli Rico put a pause on the conversations and asked the attendees to suggest tips for networking. A number of people spoke up. Instead of asking the trite, questions like “what do you do?”, which I know personally can lead to an awkward start to a conversation, this person suggested to ask open-ended questions that are intelligent. When this conference attendee suggested using open-ended questions when speaking to someone for the first time, I connected it to my experience teaching in the classroom (where I ask my students of the day, for example: “what questions do you have?”, instead of “are there any questions?” which the latter seeks only a flat reply of “yes” or “no”). I understand it, and I will try. Due to my first choice being overcrowded (people were sitting on the floor), this session was the only one that I did not plan on attending initially. I ducked out of the first and randomly joined this one down the hall. However, it was fortuitous: this session on governance ended up being helpful to me, especially that I serve on a board of directors for a tiny historical society in northern Vermont. I left with in-depth understanding of the responsibilities of a board member, and I left with a better understanding of the responsibilities and roles of a museum director and the chair of a board, which may not be relevant to me now, but if I work again in a museum with this structure in place, it will be helpful to have some recommended practices in mind. Some of the tips? Have the executive director and the chairperson sit next to each other at meetings to show unity (and, also, to allow notes being shared!). Another was to conduct a 360 degrees performance review of the director. Not done secretively, as to push out the director, but for the best practices. Also, for everyone on the board, the importance of attendance to meetings – if you are not there, you cannot participate in the conversation. However, in retrospect, I suppose that I cannot do NEMA 2015 in Portland again, but I theoretically can visit MHS anytime. So my updated activity suggestion would be: have a suggested board listing neighboring museums, have everyone meet at the lobby after the speaker, and journey over together. You would be able to meet people, talk about the conference so far (including the keynote speaker), but also, you be able to visit the museum independently if you would like. Following my visit to the MHS, I discovered at lunchtime, to my delight, that the person who sat next to me grew up in a neighboring Vermont town and attended the high school where I currently work (I did not attend the school). He also shared with me the wonderful news that would emerge shortly: Historic New England was making in roads in Vermont (the last state in New England where HNE has not had much of a presence) and had created an alliance with the Henry Sheldon Museum, Middlebury, Vermont. Wow! Big news! So exciting! Historic New England is consistently impressive by how the organization thinks carefully through every detail. After a half hour of the panel for Historic New England, I walked downstairs to “Stump the Lawyers.” As I am more acquainted with HNE from attending the Program in New England Studies (known as “PINES”) on scholarship in 2013 and from participating in an alumni luncheon in Quincy, MA in the month of September of this year, it made sense to challenge myself to do something other than HNE. Because I was so taken with the thoroughness of attention to detail in a prior year’s lawyers’ discussion of Nazi-looted art (Newport 2013), I chose this year’s hour-long lawyer session. At this “Stump the Lawyers” session, attendees could ask questions of a panel of lawyers, who each had a connection to, or a specialization related to museums like: copyright law (increasingly complex issue with the use of the Internet), and employment law. This session was was not as tightly focused as 2013, but I absorbed a few bits of random information, including the value of clarifying a job description/position checklist, especially as job duties change. I also received from the one of the lawyers on the panel her handouts about copyright. Which Plans and Policies Does the Museum Really Need? The humor of Wyona Lynch-McWrite of the Fruitlands Museum and the panelist on her side (did not get his name) was well-appreciated for the post-tea, pre-dinner slump. The panelists kept attendees, including myself, laughing throughout, but, most importantly, we kept focused. This reminds of the presentation on C-SPAN 3 that I viewed this morning about the Unknown Soldier, where the lecturer Thomas Tudor spoke about –literally and figuratively– a grave topic, and yet sprinkled in humorous personal anecdotes when appropriate. In any case, the panel’s handout from American Alliance of Museums outlined important plans and policies to have in the museum, and the panel went through this handout, allowing for interspersed questions from the audience. Particularly because many of us attending the session were museum professionals or trained in museums (and respect museum policies), I was disappointed that only the Biennial exhibition “You Can’t Get There From Here” was open. While I understand it may have been a financial and/or a staffing issue as the reason why the other galleries were closed, I wish that the other galleries remained open to see. While I had read a exhibition review of the Biennial in October and I was ready to see how the review compares with my own response, I was so disappointed not to see the American art collection and the decorative arts from the United States. The PMA has a lovely, small collection. I had last seen them in the fall of 2011, and I was curious to see how I would see the same collection, but differently, as I have increased my knowledge in the subject matter since, by watching academic lectures, reading books, visiting museums/historic sites, and interpreting decorative arts collections as a visitor guide. (Personally, it would have been great to have conversations with other conference attendees about these collections and learn from others their responses to the content, display, and description.) While I did sneak back to the PMA at the tail-end of a lunch hour on another day, I wished that I could have seen the PMA at the reception and use the additional lunchtime for another museum, especially since Portland is small, walkable, and a museum-rich city. Or, I had the time to re-visit the decorative arts collection at the PMA because one visit is not enough to take it all in. Feeling embarrassingly querulous right now, because I am really grateful to attend NEMA at all, but there was another (minor) disappointment at the reception at the PMA: the event was advertised as heavy hors d’oeuvres and that you receive a free drink, but the treats were limited –handed out only by servers– and the caterers ran out of local beer — and, so, inevitably conference attendees left the PMA (presumably to network elsewhere). I, coming to this conference with one of my biggest priorities to network, felt like this was a lost opportunity to meet the other conference attendees. Plus, I was getting hungry, and after a packed day of sessions, it was getting harder to think straight and have a relaxed composure. Bottom line, the cost to attend the reception was high, yet it yielded a low value, and then, what added to the slight, I would have to spend more money elsewhere. Luckily, I ended up conversing with another young person, who was also looking at the art books at the PMA gift shop, and we later banded together to find a restaurant to have a snack to fill our bellies. That was a terrific happenstance: to meet someone who was another emerging museum professional, and to learn about her museum which is just getting started. There are many reasons why this was an excellent –thought-provoking– session than an overt connection with the word “language”. I will not have the space in this blog post to discuss the academic content packed into the four presentations, and about the museum-tied curriculum tried by three panelists, who are employed at Colby as professors of language, but I did want to mention about a few unusual aspects of this session that stood out. One atypical aspect, in contrast to many NEMA sessions, the session chair and her selected three panelists worked together at the same institution, and that the chair and each professor worked together for at least over the course of an academic semester. The other sessions that I attended at NEMA typically had panelists on a panel from different organizations. Other than Historic New England’s presentation from the day before, I do not believe that there was another panel that I sat in on that had all of the panelists solely from one institution. It also spoke very highly of the session chair that every single panelist acknowledged how helpful that the chair was at her job at the university museum, overseeing and coordinating museum activities, with the curriculum, with the college’s various academic departments. Another unusual aspect –not necessary unique, but it was effective– was that the session chair started her presentation by putting up an image of a work by James Abbott McNeill Whistler and asked the audience to interpret it, individually, in a different language than English. The point of the exercise was not whether or not if you could come up with prose about the interpretation of the art in another language. It was rather to understand a student who may not be able to either: interpret the art (like an art historian, curator, or professor) or write in a foreign language well. This exercise also illustrated to oneself where you are at at your particular language ability, and I saw that, again, I know some French and I know some more of Spanish, but I am a master of neither, because I am not fluent enough to translate exactly my interpretation of the artwork. (I have an undergraduate background in Art History and I work as a seasonal guide for two museums.) Without intending to, the session thus made me personally grateful that I substitute teach regularly in foreign language classes of all levels, and I get to refine and review information about foreign languages often, because knowing other languages is a critical ability. Knowing another language is especially essential for museum work, since you have visitors and objects from all over, but it is also good to have a background in different languages for general participation in our increasingly connected, global world. Last but not least, I thought that observation of the task of having students discuss art at the university museum in a language other than English, and seeing that simultaneously, visitors to the museum, who were not part of the class, had a reminder of the global world (especially as Maine being a largely white and English-speaking state), was great. The languages spoken in the university museum was an unexpected benefit of the collaboration between a professor of language and the academic programs coordinator at this university museum. The professor’s observation of this unanticipated perk was a thoughtful detail. In this session, after brainstorming thoughts and feelings about difficult conversations at work, the speakers had every audience member work in a pair to act out a conversation of a few imagined-but-relatable workplace scenarios. Then, these role plays were discussed together as a group. This set-up of acting out a scenario and then having the whole audience discuss together, made it harder to extract the “tips” for conveying your meaning effectively when you are engaging in a conversation back at your real-life workplace, because the ideas were said in the group discussion were crafted in the perspectives of the people that we played in the conversations, and there was not an overall generalization, or tip, learned from each scenario. You could try to extract meaning, but it was challenging to think in the role play-discussion structure, especially since the notes available were not thoroughly gone over (I found myself scanning them quickly during the session and trying to utilize them in the scenarios), and, additionally, some of the text on the presentation screen was tiny (the presenters included memes, pictures, and comics) that you were trying to read and process. However, I believe that the speaker’s handouts of phrases to try, as well as a list of resources, would help anyone with the specific applicability to any workplace. So that was worth having. Overall, I admired this pair of speakers because both of them communicated well. Neither of the speakers sounded rehearsed, just impromptu — which is often difficult to pull off. I also thought their inclusion of mindfulness as an assistance to having difficult conversations, and inevitable stress, was a unique angle. I jointed this Library and Archives PAG because I was attending the conference as the person, who oversees a small historical society collection of objects and documents in a town library, and I may find myself one day working on a grant. As I ate from my box lunch, I listened to panel speak about grants, which seemed to offer some useful information, but pretty specific. I also wished to meet people and this session was not interested in learning who was in the room. Furthermore, as I am not actively working on a grant, when I finished my lunch, I decided to hop over to the abandoned property conversation with the curatorial PAG because abandoned property is also relevant to my volunteer role of Collections Manager and Archivist. Since the curatorial group appeared to be finished with the main presentation and had since disbanded to small roundtables, I sat with a table and, through the small conversations, I ended up receiving some personalized tips for my historical society, such as: how to share instructions with the front line staff, who are not affiliated with the society (our historical society is located in a town library). In retrospect, I wish that I also joined the Registrars’ Professional Affinity Group because the description said that the group was going to get to know each other (again, one of my goals was meeting people) and that, sometimes, I have the tendency to be focused on the enjoyment of learning the academic content out of a session, than what may make more sense for me career-wise. Also, I noticed in the description for this PAG luncheon, that the PAG leader works in an academic museum, which, if there was time, I would have liked to ask that person about his career arc because I am –given my past background in museums and current background in schools– interested in working in a museum, archive, or library, that is part of an academic institution. But I did not want to go into a session more than half-way through. In any event, I saw an opportunity of time during the rest of lunch to go visit the PMA. I spent my time with the decorative arts collection, including the small temporary exhibition of decorative arts in the McLellan House. This also allowed me the chance to go read from a few of the books in the upstairs reading rooms, including about collector Katherine Prentis Murphy, and the founders of Winterthur and Shelburne Museum (which I did not intend to do, but happened to stumble upon). I also discovered that I was not alone in choosing to visit the PMA after the PAG lunches. I suspect everyone who “jumped ship” from the conference hotel was equally grateful for the proximity to the PMA because it permitted more thorough time exploring what the PMA has to offer. (As we are museum folk, and we enjoy museums!) More critically, I found that visiting the museum offered me some peace and quiet for reflection, especially that my brain was overwhelmed with ideas from the conference and from being in an ongoing conversation mode with other conference attendees. I attended Effective Typographic Communication because of personal interest –in college, I studied rare and contemporary books, design, and type (I have an undergraduate minor in Book Arts)– and because of professional skill-building, in case that I am asked to design exhibitions or edit signs for a museum. I worried part way through the session that perhaps I should go to another session, such as: “Hey, Can I Use This Image? Navigating the World of Copyright” as this session would also be great to learn about more, and because the Typographic presenters mentioned that their materials would be on the NEMA website to reference. However, I am glad that I stuck it out at this session of typography because, one, it was enjoyable and humorous, and two, because I found out when looking at the presentation later that the interesting information that I received from the session was not online. A case in point was that one of the session presenters mentioned that they had designed their presentation with the hopes that all the attendees could read it and, as a physical member of the audience, I could then be the judge of the success of their design. That was neat. At the Children’s Museum, I was struck by the bold colors of the exhibits, the grown-up information accompanying these exhibits, and the customization of the exhibits to the local area, e.g. lobster fishing, in proximity to a typical grocery store exhibit. I also loved the night’s feeling of relaxation — making a craft of a flower related to a cultural tradition Dia de los Muertos, decorating a skull cookie with tubes of colorful sugar, and having local fish and veggie tacos, paired with Allagash (a local beer). Unlike the PMA where attendees were regulated only to two spaces (where inescapably the lobby, with the enticement of food and drinks, became really loud), the Children’s Museum was completely open to explore, and I found that there was plenty of quiet space to have a conversation. On the lowest level, I really appreciated the conversations with others, who filled me in on sessions that I did not go to. Additionally, I was able to help someone brainstorm ideas for her middle school visitors because my museum jobs are in the education department (I am familiar with constructivist theories and Visual Thinking Strategies) and I also work regularly with middle schoolers in the public schools. I was not sure what this particular career conversation would look like — the description in the conference booklet was primarily her background: employment, academic degrees, and professional service. Furthermore, my memory of attending a “career conversation” (at NEMA 2012 in Burlington, VT), was the audience coming up with questions related to their career goals, and Ann Lawless, director of American Precision Museum, responding to them. I, however, decided to attend this career conversation because Nina holds a similar academic background to me (she studied in the humanities in undergrad and then studied museum studies for graduate school), and I wanted to learn about her career arc: how she went from museum hopeful, to being an award winner and being recognized in front of hundreds of attendees in 2015. I particularly enjoyed her stories of best and worse moments, some of them humorous in retrospect. Of the “big picture” in her anecdotes, I saw that you can be an introvert and be successful, and I also saw that success was unforeseen, but that you have to keep working at it, and take risks, and that you never know where your network will help. After this career conversation finished (it was scheduled only an hour, not as a regular session, which tends to be for an hour and half), I meant to go to the session on disability or the graphic design 101 session, but I decided against joining a session so late, and that it would be a better use of this half hour to check out of my hotel and bring over my belongings to store at the conference hotel, where I can utilize the following coffee break for more conversations. What Does Your Facility Say to Your Visitors? I found that this session was exactly as the conference book promised: an overview, and then an opportunity for the audience to ask questions about their particular situations. The overview was comprised of two simultaneous parts: a photo slideshow assembled personally by the speaker, and then a concurrent commentary of the photo slideshow, looking at various museums’ decisions related to their facilities, and what it may “say” to visitors. Then, the floor was opened up for individual questions. For the Q and A, I was brave enough to ask this full room of attendees, and the speaker, the following question: “the concerns, issues, and problems with our facilities, it is the people on the grounds who notice and deal with the results of these things, how can we channel it back to those who make the decisions: the administrative team?” I received a nod of understanding of the situation from the speaker, and then subsequent terrific responses from the other conference attendees, one included creating a structure for staff comments, such as in a daily log. Unfortunately, I only saw a part of this meeting. I had to depart in the middle of the luncheon, due to having to catch a ride with someone to the train station, so that I could take the Downeaster to Durham, NH (nearest to my destination of family in Portsmouth). Sadly, I missed out on what seemed to be a nice dessert of a slice of chocolate cake, as well as conversing further with my table-mates, whom I would have liked to have gotten to know further, especially since two of them were in the fields that I am involved with now: schools and museums, and it would have been great to hear about their career arc and how they wound up where they are today. There were also other emerging professionals at the table, and it would have great to have more of their thoughts about how the conference went for them. Business cards, a stack of paper handouts, and a brain still processing information from the conference sessions, personal conversations, and physical sights, — I am at home, and now what? — what just happened, and how can I document it all? This blog post was definitely a start, but there is more that I did not capture: the one-on-one conversations before, during, or after a session, the morning workouts (I especially loved the NEMA YEPs morning run around seaside Old Port early one morning! ), and the late night table discussions with other attendees out and about in Portland. Overall, it is evident by this post alone that I walked away with new energy and refined knowledge, and meeting the conference attendees who are just as excited about museums –and willing to do the hard work of improving our museums– was inspiring and will keep me motivated. For learning anything at all, and meeting the people that I did, I do have such appreciation for being able to have a presence at this year’s annual conference. From writing this blog, I also observed a few patterns: that I was interested in hearing people’s journeys (how they got to where they are today) and that I was progressively less stressed as the conference went on because I was learning so much great material and that I was beginning to feel comfortable talking with people and with raising my hand. I also noticed that I intentionally made time to relax, including exercising every morning mainly in the hotel’s facilities (it also helped that I had an inevitable walk between hotels! 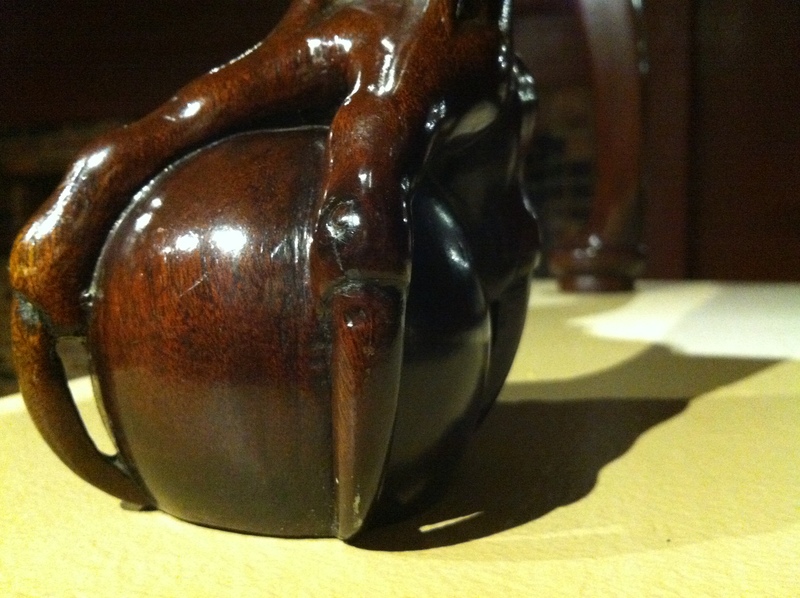 ), to sit and have a cup of hot chocolate from the lobby, and to visit museums in-between activities. Lastly, I also saw that I have a great deal of intrapersonal knowledge. Particularly, I noticed that I prefer attending sessions that were more of a presentation or lecture format, rather than participatory sessions that have a workshop-feel and that rely on the knowledge and willingness of participation of the audience. In a way this makes sense to me, because I am introvert and shy, and that means conferences as a whole can be tough, draining, and uncomfortable. I also take time to process and organize information before sharing ideas externally. Closely related, I can analyze on multiple levels, so my mind is busy absorbing all aspects and needs processing time before I can communicate a singular thought or a question. I am a huge fan of reading and acquiring information by visual and verbal means, however, I prefer not verbal transmission only; I love having a visual to study and to refer to. Other people may be different. Others may learn through tasks and doing, and talking through matters with other participants. I would guess that for these the networking comes easier and that some of the more participatory sessions during conferences work really well for them. The sessions that were filled with tasks of brainstorming, group discussions, and making things, were likely a better fit for these learners with strong auditory and bodily kinesthetic abilities. In any way you absorb and provide information, I believe that anyone at any level, involved or interested in museums, would have found sessions, people, and events at New England Museum Association conference not just entertaining and fun, but also useful and meaningful. You don’t have to take only my word, er, blog for it. Others blogged about their adventures at NEMA, too. (And here, too.) There was plenty of diverse sessions that appealed to different types of people and left them thinking for and about museums in a critical and important way. In closing, I hope the discussion of this year’s conference in Portland was helpful to you, the reader, as it was for me. What will next year’s conference NEMA 2016 in Mystic, Connecticut bring? Currently, I serve on a board of directors for a tiny historical society in Vermont. I am the Collections Manager and Archivist for the society, and one of my roles is overseeing the society’s collection: I recommend new acquisitions, I interact with the community when an offer of object is not a good fit, I scan and email photos from our collection upon request, and in general, I manage our small collection of documents and objects. I am also an employee in two public school districts working with grades K-12, and an employee for two seasonal museums, both as a museum guide. At one of these museums, I also staff the information desk, where I juggle answering the calls from the museum’s main line, greeting museum visitors, helping visitors with wayfinding, and interpreting exhibitions. I would love a job in a setting where I can conduct research and I can help others conduct research. I would also like work closely with physical objects, and also interpret collections and share information with others. As I am experienced in other roles: social media, collections management, and education in museums, I am also open to other, new possibilities. Today is Veterans’ Day, or November 11, 2015. I just noticed that I have not updated this blog since the end of 2012! It is my goal then in my writing to demonstrate personal and professional growth. I also hope sincerely that my reader also benefits from my written reflection of my recent experiences. It is evident through my last two posts, I am extremely grateful to have attended the New England Museum Association annual conference. I also appreciate the professionals who took the time during the conference to converse with me. I learned a great deal from asking questions and being curious. In the days following the finish of the conference, I did my best to follow up and say “thank you!”. I put in a lot of time. Probably not every single email was perfect. What does make a conference session “EXCELLENT”? I recalled conferences that I have attended — Webwise Denver in 2010, Webwise Baltimore in 2011, Museum Computer Network 2011, Mountain-Plains Museum Association 2011 — and thought if I could still recall an insight or presentation, I think that is “great”. It could very well be that the session was just “memorable”, for some reason or another, rather than truly “excellent”… so what makes a session for attendees to walk away feeling the session was “excellent” and purposeful, and possibly also left the attendees walking away: optimistic, fulfilled, stimulated, and/or energized? While it might be true that a conference session may be excellent in one person’s perspective and the session is not “excellent” for someone else, sometimes sessions can cause many people — no matter their background — feel universally “wow!”. I would like to work on this for a session for NEMA 2013. I would like to contribute a really meaningful session. First thing is sorting out a “thesis” with clarity — making sure the proposed discussion is useful and relevant, and applicable for this region. Ok and… go! Just prior to the conference, to my amazement, I found out that the entire staff of American Independence Museum was laid off. http://exeter.patch.com/articles/american-independence-museum-lays-off-staff See also: the organization The History List has posted information on its Facebook page. I could only imagine the confusion, frustration, disappointment, and astonishment of the AIM staff. If any feedback was provided, a feeling of powerlessness of the former staff because the staff cannot professionally fulfill the task. During the conference, unfortunately I did not attend: “Strategic Planning Made Easy for Small Museums.” Did anyone attend or participate? I would be interested in your thoughts, online or offline. As sessions were scheduled simultaneously, I wish that there could be a blog, or a method online, for attendees to write what was being talked about & their response to it. There were many terrific topics being discussed all over the place, and I wonder what kind of opinions and responses people had! To aid my planning, I am most thankful to Amanda Gustin who wrote a blog for newbies attending the conference: http://nemuseumassociation.blogspot.com/2012/10/yeps-track-at-nema-2012.html Amanda also has a blog which I have found intellectually intriguing – it is neat to stay connected with ideas, strategies, and thoughts of museum professionals and of the field, without necessarily leaving home. 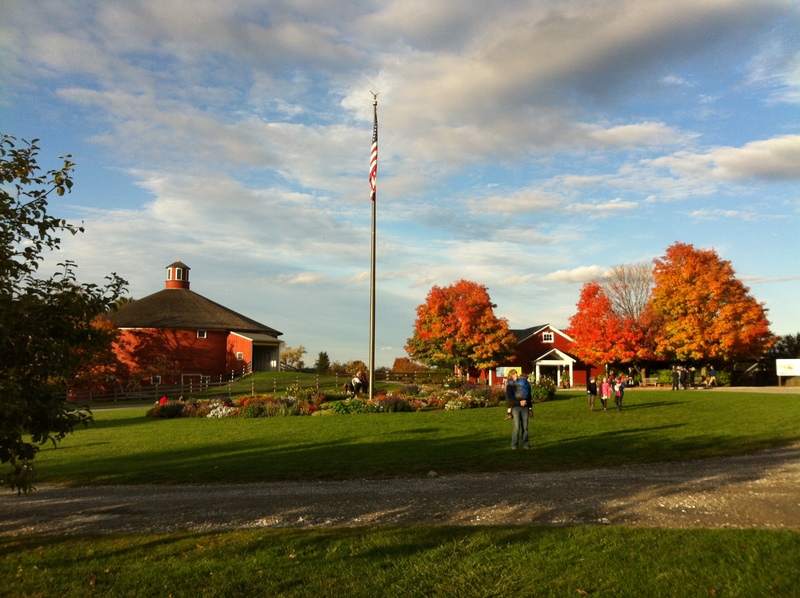 Shelburne Museum is gorgeous in the fall! The museum opens again to visitors on May 12, 2013. UPDATES: New England Museum Association devoted a page of its website for conference handouts. Another several attendees of the NEMA conference, including my good friend and former colleague of the Shelburne Museum, Katy Kreiger — Museums of Old York was mentioned in the article, as well. I see this as excellent topic for all museums — how can museums continue to be relevant in the 21st century, to their communities, and to their visitors. Particularly financially, what are the best practices to remain sustainable? How do we increase revenue — and without deviating from our mission? With Mountain-Plains Museums Association annual conference in mind from last year, I missed my conference mentor that I was assigned for MPMA very much (Hi Jan! ), to navigate my first ever NEMA conference. However, the conference smartphone app on my iPhone, made by TourSphere, provided me navigation literally at my fingertips. Unfortunately, as an emerging museum professional, I noted well after the fact on the NEMA website that the career conversations were for emerging professionals. Fortunately, however, I was able to catch some of the conversation with Ann Lawless of American Precision Museum. (By the way, Ann was wicked amazing!) Sincerely, I wish I could have been in two places at once, and attended more of these unique opportunities to dialogue in a small group, about issues facing our careers. While I caught the session Curatorial Authority with the Public, I am especially sorry to have missed Michael Taylor of Hood Museum of Art lead the chat for his own “Career Conversation.” Hood Museum of Art has been on my radar this year ever since the exhibits of progressive Canadian photographer Edward Burtynsky & the museum’s acquirement of Duchamp’s valise. The article about the valise in our alternative weekly Seven Days, here in Burlington, VT, actually inspired my personal visit to Philadelphia Museum of Art to see the Duchamp collection in May 2012: http://www.7dvt.com/2012dartmouths-hood-museum-acquires-very-special-suitcase I would have loved very much to hear Michael Taylor speak. However, I ended up at that very time of the “Career Conversation” in another session, that was just as brilliant for me. In the second half, all the six states of New England were divided up into different groups. As a Vermont resident, I was able to hear regional issues and strategies in regard to collections management and the choices made for handling unclaimed property. To my delight, I discovered post-conference that I was not the only Vermont professional who feels we need to do a better job of connecting statewide. Amy Mincher of Slate Valley Museum emailed Vermont museum professionals, saying she had set up a Google group for us. Whether it is once weekly or on occasion, now we can all check this single online location for requests for help, for networking, for general ideas, and for collaborations on grants and projects. It is a terrific improvement. Thanks, Amy! It is also very nice to extend a listserve for Vermont residents who are actively involved with museums, but who did not have the fortune of attending NEMA 2012 in our home state. I definitely passed on the group information to a couple of contacts of my own, whom I thought might have interest. From perusing #nema2012 hashtag, I love scrolling through Twitter to see what professionals, especially with perspectives differing from my own, take away from the same conference. I aim for two things in writing my tweets: one, capturing ideas I wish to remember, and two, in case the reader of the tweet was not present, to communicate the gist of the idea. Rarely, will you find any of my tweets about “meals I had last night” or other fluff. Primarily, I utilize my Twitter account for disseminating information, usually about museums, but I also use Twitter to get a multi-perspective scope of the museum field. I follow a LOT of accounts… I never know who or what might turn up useful. As much as I advocate for the benefits of Twitter, I struggle personally with the idea of tweeting during conference sessions and presentations. It is important to disseminate ideas, but it is equally important to me to be fully present. I do not want to split my attention using a mobile device, and miss out on a point which is made in person. I also like giving my attention to the speaker. Politeness is important! On the other hand (haha – smartphone in hand), I captured and communicated information to many sorts and types of audiences, which was reaching far greater audience(s) usually than I or the speaker(s) could ever have imagined. I also found my tweets were a conversation starter, as well as a way of presenting myself and my personal interests — sometimes well before I met the professional in person. Having tweeted during the conference connected me with professionals in the field that I might not have encountered at the conference in any other way. The tweet-up (the physical meet up of all the tweeters) was a terrific example. While attending the New England Museum Association, I truly appreciated all those who were posting from Museum Computer Network in Seattle on Twitter, who made it easy for me to find their thoughts with the hashtag #mcn2012. I am highly interested in digital humanities, new media, and “pushing the envelope” with new technologies. I want to stay informed. I hope at the NEMA conference next year, there will be a greater population of us who will tweet and who will see tweets as a valuable, interactive, and useful source of information. During the conference, as I refilled my Shelburne Museum ceramic mug with tea during breaks, I strove to strike up a conversation with as many other attendees as I was able. My foremost goal for this conference was to absorb all the information as I could. I may never get to learn this kind of perspective, or meet this professional, ever again. (Good example: “Career Conversation” with Charlie Browne of Fairbanks Museum. He started as an intern way back when, but now he is retiring as director, http://caledonianrecord.com/main.asp?SectionID=180&SubSectionID=778&ArticleID=86815) This conference was such an excellent opportunity to engage on all things museum, and start envisioning the potential of museums for the future which I do not get to talk about in my every day. Before the conference started, I read through the descriptions and I noted down exactly which sessions I would attend. Being that I am intellectually curious and an interdisciplinary thinker, I strove for a few things: to skip any session I could obtain information for, and to focus on sessions which could teach me new things. The sessions did not have to immediately link to a job, or to my career aspirations. In a sense, I was “pushing my own envelope”. On a serious note, I got great tips about self-branding, project management, networking, work/life balance… this was all in an hour and a half. I could only imagine the benefit from his day-long presentation. Professionally, one of the other most useful aspects of NEMA were truly the exhibitors in the exhibit hall. As my primary interests are American furniture and decorative arts, I was delighted to collect a stack of auction house catalogues to study, and to examine to see what exactly is on the market. This collection of catalogues was most magnificent to me, after several months this year at Shelburne Museum in Vermont, interpreting early American furniture (the colonies, until just after United States was an independent nation) to have a catalogue of Vermont Federal period furniture. What a treasure! If only I had the luxury of unlimited funds — and I was not seeking to advance in the museum field and thereby not have a lot of stuff to move — oh, what I would purchase at auction! Perhaps, on second thought, given my great love of American furniture, decorative arts, and modern design, that would be quite dangerous! 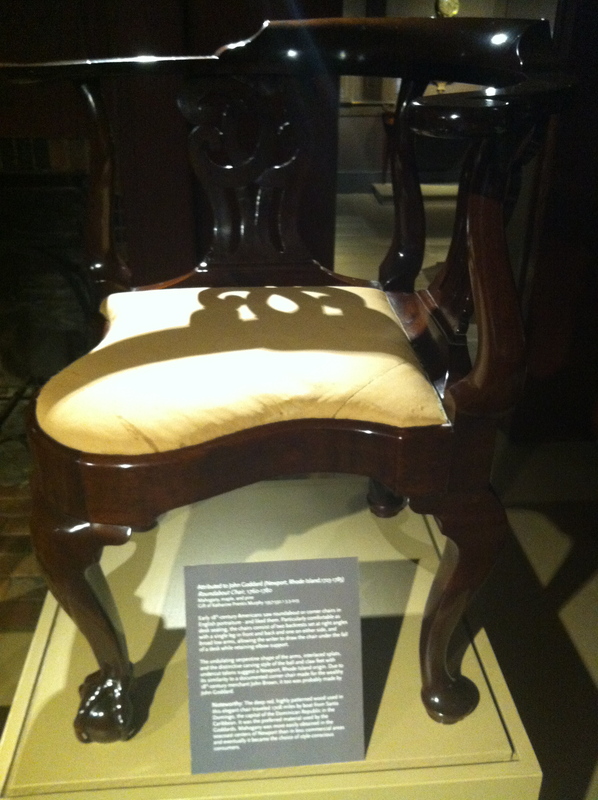 On a realistic side, I have some ideas bubbling for a smartphone app of early American furniture. Adriene Katz earned a MA in Museum Studies through the School of Museum Studies at University of Leicester, where she studied museum administration, collections management, exhibition design, social responsibility, and sustainability. Since 2007, Adriene has been involved with Shelburne Museum in Shelburne, Vermont, and is looking to advance in the field of museums. Her interests include early American furniture and decorative arts, and digital humanities.